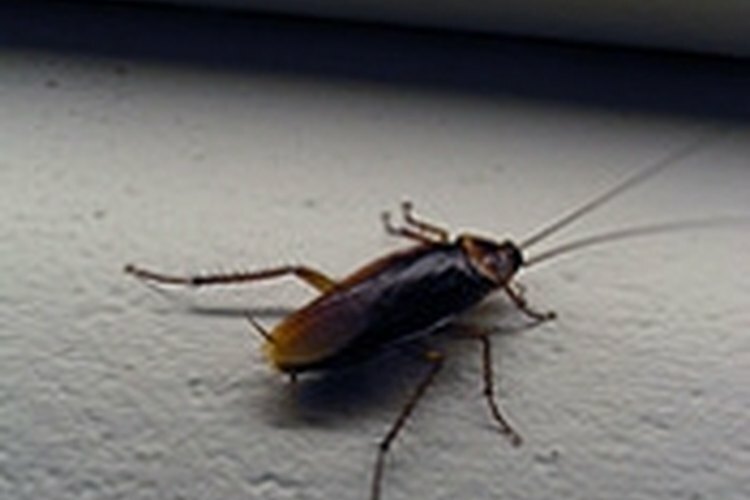 Cockroaches are considered one of the most common indoor pests. They like to settle in dark, warm, and humid areas, places that contain available food and water sources, and spaces where they can easily hide and breed such as cracks on walls or kitchen cabinets. Roaches eat almost anything they can chew on, from any kind of food, to paints and even book bindings. They are mostly active at night and often live in groups.Their survival rate without food is quite high; they can live without eating for about a month. But when it comes to their need of water, they won't last for more than a week without it. Having roaches around the house should be considered a serious matter. These night crawlers are prone to carrying salmonella, hepatitis virus, coliform bacteria and other disease-causing organisms. To get rid of roaches, here are some helpful tips you can apply. Find out their hiding places and contact an accredited exterminator company near your area. Start your inspection by placing sticky or glue traps on different locations around the house -- especially on areas where there are live or dead roaches, shed roach shells, empty egg casings, and droppings (black colored spots that looks like tiny grains of pepper). Observe which area has the most trapped roaches. By identifying the areas with severe infestations, you can easily instruct exterminators the specific places they need to deal with. Dispose your sticky traps, by placing them in a garbage bag; but before sealing the bag, you may want to permanently get rid of the trapped roaches by spraying the inside of the bag with an insecticide and then tightly close it. Eliminate their source of food. Start by cleaning bread crumbs or any food bits on the floor, table, chair, or counters. Store open food in tight-sealed containers, either resealable glass or plasticware. Clean your dishes right away -- allowing dirty dishes to sit overnight in the kitchen counter or sink can be enough to invite roaches in the area. If you are too tired to clean the dishes for the night, at least rinse them off and soak them under soapy water. As for pet foods, seal them properly as well, and do not leave bowls of pet food on the floor overnight. Dry wet areas properly to keep the roaches away. Roaches can live for a month without eating ,but they can't live that long without water. So they obviously need water to survive. After doing the dishes, make sure to drain all water from the sink, and wipe all traces of water on counter tops. That goes the same for bath tubs and bathroom sinks. Do not forget to check for any spilled liquid on the dining table or the baby's high chair table as well. Repair all leaking pipes, wipe concrete areas that are sweating, or any traces of damp water coming from the refrigerator. Again, if you're too tired to wash the dishes, rinse and soak them in soapy water. Roaches can't handle soapy water, so this method is quite safe. Keep your home clean and sanitary. Make sure to seal your garbage bins tight; keep it away from doorways, and empty them everyday -- especially at night when roaches are most active to search for food. When you clean you kitchen, see to it that the stovetops are wiped properly and free from splashes of sauces or food bits from where you're cooking. And do not forget to also move the stove to clean its surrounding surfaces.The same thing goes when you clean your refrigerator, make sure to check all moistened areas, to keep it roach-free. Vacuum floors and carpets constantly with more emphasis on areas to where you see dead or live roaches, egg shells, shed roach skin and droppings. Mopping concrete floors using a mixture of bleach and water will also do the trick. Get rid of their entry routes and hiding places. Seal cracks and crevices on walls. Clear the cluttered areas inside and outside your home such as wood piles in your back yard or piles of newspapers, magazines or boxes in the living room or basement. Avoid storing unused furniture, appliances, or clothing. Remove or fix any damaged or torn wallpaper and plaster. Seal small opening from sidings of doors or windows. And fill in gaps of water or heating pipes, in and out of the house. Drive roaches away using low toxic chemicals. Boric acid and silica aerogel are low toxic insecticides that help in repelling roach infestations. When cockroaches are in contact with boric acid, the acid will stick to their shell or any part of their bodies. And when they do their regular grooming, they will unknowingly ingest the boric acid that will soon act as a stomach poison. Sprinkle small amount of this acid under dark and moist places such as bathroom and kitchen sinks, around refrigerators, or behind appliances such as washers and dryers.For silica aerogel, the mode of transmission is somewhat the same as the boric acid -- it sticks to the shell and other parts of the roach's body. But the way silica destroys the roaches is way different than boric acid. Once the silica aerogel sticks to the roach, it will absorb the waterproof layer of wax on its body and soon enough causes death by dehydration. Sprinkle silica around dark but dry places such as the sides of cabinets or cracks on basement and attic walls. Try other effective ways of wiping out roaches. You can do your own mixture of insecticide at home with the use of powdered sugar and baking soda. Mix equal amounts of sugar and baking soda, put it in a shallow dish and position it to places where you often see roaches come and go. The effect of this mixture is deadly to roaches.Another way of repelling roaches is by placing bay leaves to areas where roaches are often seen. Bay leaves come from sweet bay or laurel tree. These leaves appear glossy and grow maximally about 3 inches long. Roaches hate the taste of these leaves, so this can be an excellent repellent for them. Even though boric acid and silica aerogel are considered low in toxicity to humans and pets, still observe proper precautions during your application. Do not sprinkle these insecticides around areas where children and pets eat, play, or sleep. Always remember to wear gloves and mask when handling insecticides to protect you against accidental ingestion or inhalation. Keep boric acid or silica aerogel in tight sealed containers and away from the reach of children and pets. These chemicals are harmful to plants as well so be careful not to sprinkle them on potted plants inside or outside your home. When applying silica aerogel, make sure to sprinkle it around dry areas. Its effectiveness wears out when it becomes wet, so avoid sprinkling it around moist or damp places. Dead roaches or even empty roach shells are prone to causing allergic reactions or asthma; so if you see one lying on the floor or anywhere in the house, get rid of them right away.